Are you looking for an area with everything on your doorstep? Look no further, Morriston and its surrounding area is the place for you! In a fantastic central location it provides access to both M4 East & West and is only 10-15 Minutes away from Swansea City Centre. We have an array of local attractions such as a variety of golf clubs, entertainment venues such as Manor Park Country House, several public parks, plenty of local sports and much more! With the Liberty Stadium only 10 Minutes away it’s an ideal location for the avid sports fan hosting Swansea City FC and The Ospreys Rugby team. When it comes to property we have an abundant mix of modern build estates and hidden gems in superb rural locations enjoying idyllic views all around. Voted ‘The Most Desirable Place to Live and Work in Wales’ in a Royal Mail Survey just this year not much else has to be said about our wonderful & convenient location. Emma came to Dawsons as a senior negotiator in January 2019 with a wealth of experience in the trade, having worked as a manager within another local estate agent. Emma has an interesting career background which includes working within the prison service, therefore giving Emma a great insight into people, this alongside her years of service within the lettings industry which has provided Emma with the excellent customer services reputation she holds today. In Emma’s spare time she enjoys relaxing with her family and taking Trevor for a walk. Sarah has been in the property industry for some 7 years starting back in 2009. Sarah has picked up a vast amount of knowledge since 2009 having worked in residential lettings, sales and New homes. Sarah’s enthusiasm and passion for the industry shows and has been a valued asset since she started with Dawsons in 2015. In her spare time Sarah loves nothing more than socialising with friends and family. Julia started in the property industry with Dawsons back in 2009 and has the role of branch administrator in Morriston for our lettings departments where she prepares all aspects of the department’s administration and well as liaising with both tenants and landlords. In her spare time Julia likes to writes poems and also enjoys going out on her motorbike if you can drag her off the sofa from watching formula one. 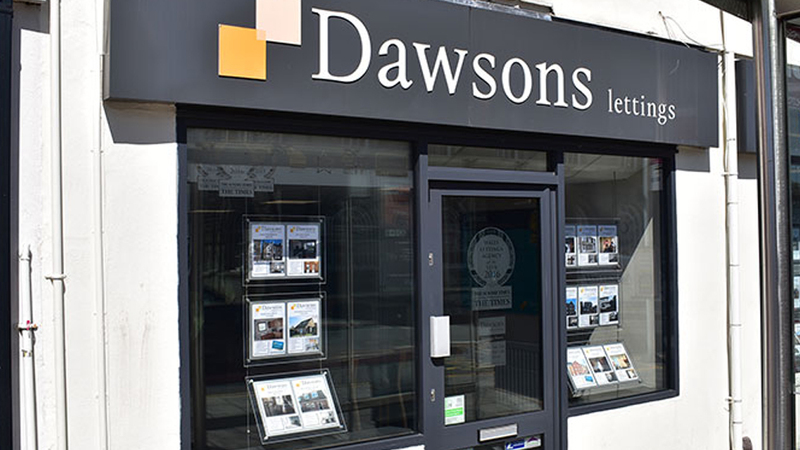 Ashley returned to Dawsons in 2019 as a member of the Morriston lettings team. Ashley previously worked for Dawson’s some years ago, again within our Morriston lettings team, having left to study events and marketing in University and gain further experience in the estate agency field. Working in the hospitality trade Ashley’s customer service skills are second to none, having being a wedding planner for some time. Outside of the office you can find Ashley enjoying time on the Gower with her horse and competing in show jumping along with relaxing with her friends and family. Amy is our newest Saturday lettings negotiator and although new to the industry she has taken to the industry like a duck to water. Amy loves nothing more than being out all day meeting our applicants, viewers and tenants. Laura started with Dawsons in October 2018 as a Saturday lettings negotiator and brings with her a wealth of experience in dealing with people looking for their new home. Laura has worked in the Public Service Sector since 2005 and with her knowledge of the property industry made her transition into the Housing sector at the start of 2017. Laura is an ice hockey fan and enjoys going to watch and support her team the Cardiff Devils.